On 7 January, Rada released information on individuals suspected of orchestrating recent ISIS attacks in Tripoli and the Oil Crescent. On 8 January, Fathi Bashaga suggests ISIS is operating freely in the greater Tripoli region. 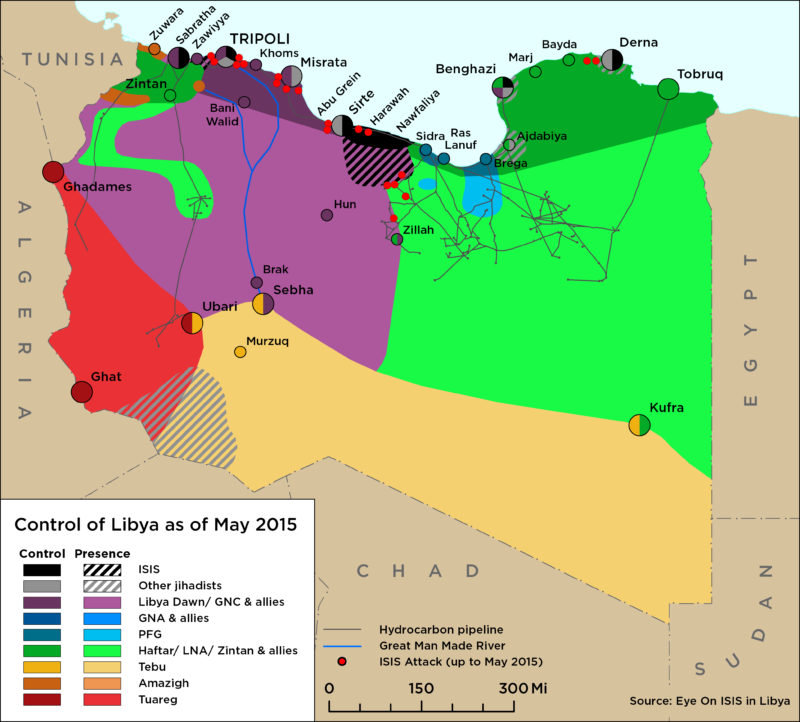 On 10 January, unconfirmed reports suggesting two ISIS fighters were arrested in Tripoli. On 9 January, the body of the former leader of ISIS in Libya, Abu Nabil al-Anbari, was uncovered in a mass grave in Derna. On 11 January, the General Security Directorate defused an IED in a deserted farm in western Tripoli. On 10 January, Tripoli’s Criminal Investigation Department evacuated the Dhat al-Imad office complex following reports of a bomb threat. 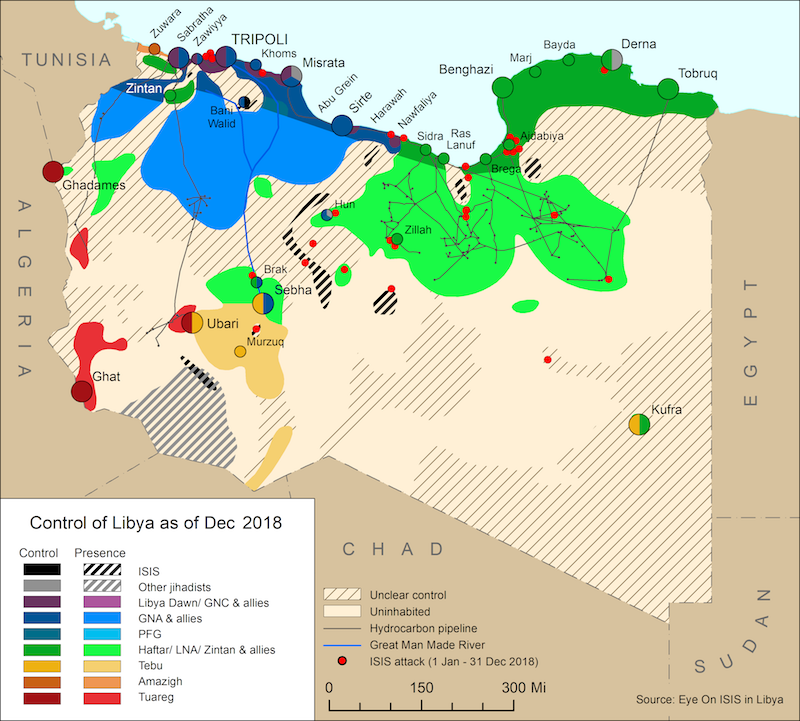 On 13 January, UN Envoy to Libya Ghassan Salame travelled to southern Libya for meetings with local officials and dignitaries. On 13 January, the head of the GNA Fayez al-Serraj pulled Libya from the Arab Economic Summit.